Anna Morgan Ford grew up on a horse farm near Dayton, Ohio. Her father was a fifth generation Standardbred trainer, and her mother, Dot, cared deeply about the lives horses led once they retired from the track. Dot founded New Vocations in 1992, and it’s now the nation’s oldest and largest racehorse adoption program, having rehomed over 6,000 horses since its inception. 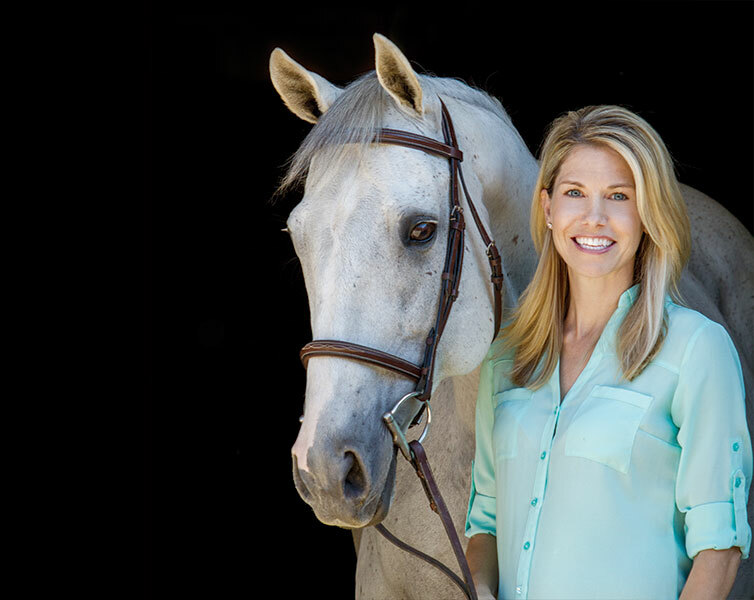 Anna, who has a vast and varied equine background, took the reins as Thoroughbred Program Director in 2002 and has been instrumental in bringing equine aftercare awareness front and center in the racing industry. “Over the past five years, there has been a huge increase in awareness of the aftercare needs of horses retiring from the track. There has also been an increase in funding as more of the industry has rallied to support aftercare efforts. “We use social media extensively to let as many people as possible know about the horses we have up for adoption. We focus heavily on quality photos and videos to really show adopters what we have to offer. We are working harder than ever to adopt out more horses because we have to—there are so many horses in need of our services. 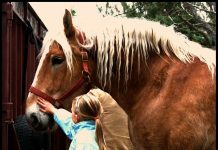 “Loving horses is definitely in my family’s DNA! [My daughter] is really enjoying going to the barn and seeing all the sights and sounds. She loves horses, and is working on learning new words and phrases. She loves to watch the races, and will bounce up and down like she’s riding when they come on TV. She recently participated in her first leadline class at the New Vocations Ohio show, and really enjoyed it. Anna is currently spearheading New Vocations’ massive fundraising campaign to build the nation’s largest racehorse rehabilitation, retraining and rehoming facility: New Vocations at Mereworth Farm. You can read more about this campaign at the New Vocations’ website, www.horseadoption.com. Based in Lexington, Ky., Sarah Coleman has a soft spot for chestnuts with chrome, including her off-the-track Thoroughbred that she’s training to be a hunter. Previous articleDiary of a Pony: Happy Birthday Marey!